From Goodreads - A book to make psychics and mystics jump with glee and skeptics to think again. Adam Henderson was bullied as a teenager and it's something he never got over. Bad enough his father thought he should quit school to go to work. Adam had big dreams. His only friends were his pet rabbits he talked to in the backyard. He also has dreams, and sometimes, it's down right spooky when those dreams become a reality. Over the years, he has honed his gift...for revenge. Officer Ted Farrell's heart isn't in his job. In fact, he has big dreams to open a winery, growing grapes just like his grandfather did before he gambled it all away. His wife Sally doesn't want the winery, it's too risky, but Ted figures they can discuss it at length later. When Ted is called to a traffic accident, something doesn't look right. However, it's deemed an accident and Ted is told to let it go. Ted can't let it go though - something isn't right. He does more digging and before long, convinces Sally for a vacation, and there they can talk about the winery. That talk never happens, but Sally does meet a really nice man - Adam, something she doesn't tell Ted. Then there is Laura. She's a reporter who wants to make it big. She just needs the right break. When she is sent to the states to cover a story, she gets swept up into something bigger than she even thought. She and Ted begin investigating the same story - a man who can manipulate peoples minds from hundreds of miles away. Unbelievable? You'll have to be the judge. 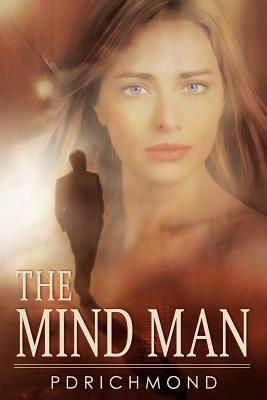 Mind Man is a page-turning the read that slowly developed into a mysterious, character driven read. The plot unfolded at a steady pace and at first I was unsure how the characters would all relate to the main story, but Richmond had a master plan, because it worked beautifully. I look forward to Richmond's next book! If you like mystery thrillers, with a unique, yet clever premise, I'd recommend The Mind Man!